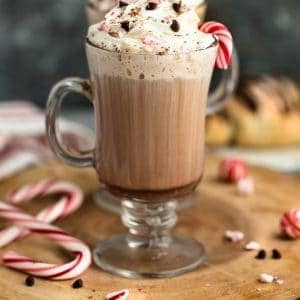 Peppermint Mocha Latte is the perfect cozy homemade drink once December hits. 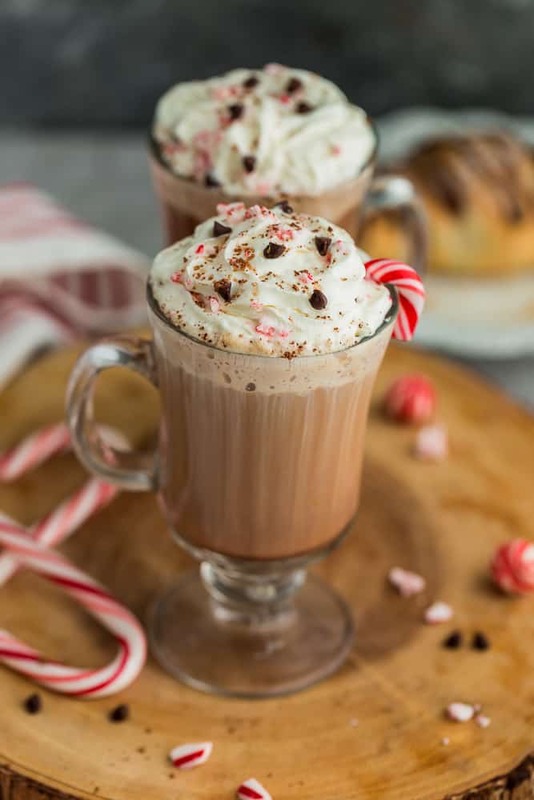 The combination of peppermint, chocolate and coffee just screams the holidays. It’s December and that means ’tis the season for all things gingerbread and peppermint. And since today is National Peppermint Latte Day, I couldn’t help sharing my own homemade version in case you don’t want to make the trip out to Starbucks. I love the fun holiday drink flavors at Starbucks but I always find them a little bit too sweet for my taste. And the best part about making your own latte at home is that you can customize it according to your tastes. 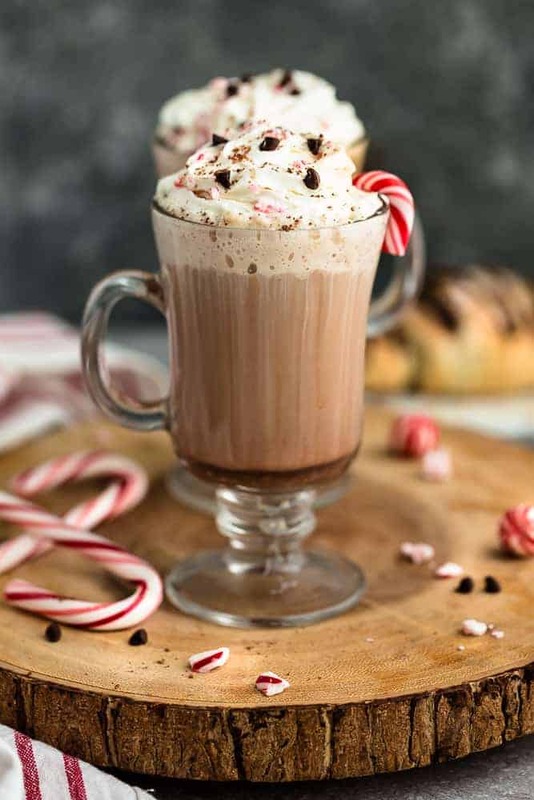 Plus, you can enjoy this delicious drink while baking your favorite holiday cookies with some festive music or curled up on the couch by a cozy fire. You start off by heating some cocoa powder with any milk of your choice. Add in the brewed espresso and then the peppermint syrup. 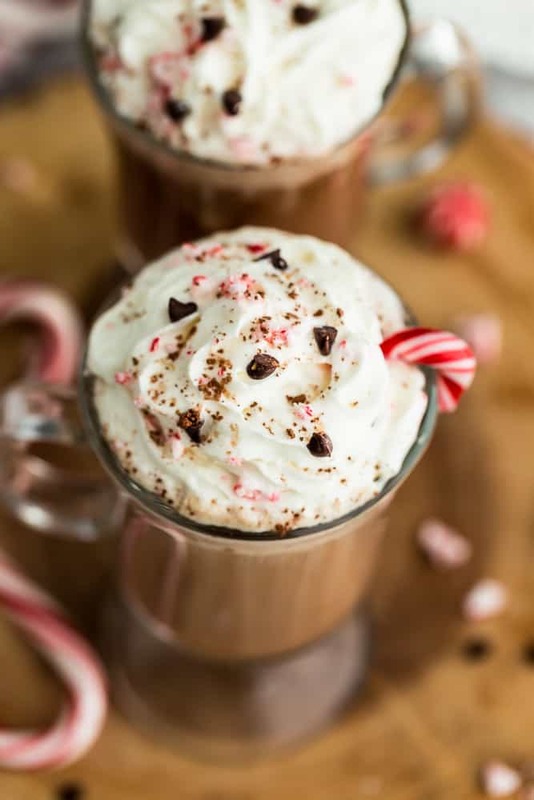 If you can’t find peppermint syrup, you can use peppermint oil or peppermint extract but the flavors won’t be exactly like the Starbucks version if a copycat version is what you’re going for. Next, steam the remaining milk until foamy (you can use either a frother, in the microwave or on the stove) and then garnish with some whipped cream. And if you want to dress it up even more, add some crushed peppermint candies, some chocolate chips and a dusting of cocoa powder. Taste of peppermint and mocha mixed with coffee is the ultimate Holiday treat. Heat cocoa powder and 1/4 milk in a small saucepan over medium heat or in the microwave for 30 seconds, until cocoa powder, dissolves when stirred. Remove from heat and stir in espresso and peppermint syrup. Add sweetener if using. Pour into a large mug or divide into two small mugs. Steam remaining milk (using a frother, on the stove or in the microwave) and add to the espresso mixture. Garnish with whipped cream, a sprinkle of cocoa powder, peppermint candies and chocolate chips if desired.